As a Yoruba mother, she went ahead to bless them with more prayers in Yoruba. She wrote: "Good morning World, Happy beautiful Sunday to us all. And we say a very big thank you for all your prayers, birthday wishes, phone calls and messages towards my son's birthday. Eseun adupe oooo, Aonifoju sunkun, aonifara gbaawe, aonidamu lori awon omo wa ooo. Our children shall be blessed, We shall not cry over anyone of them, Our children shall bring us joy,happiness and peace of mind Ijmn , Thanks once again lovelies and wish you all a blessed and fruitful week ahead , We love you❤❤❤." 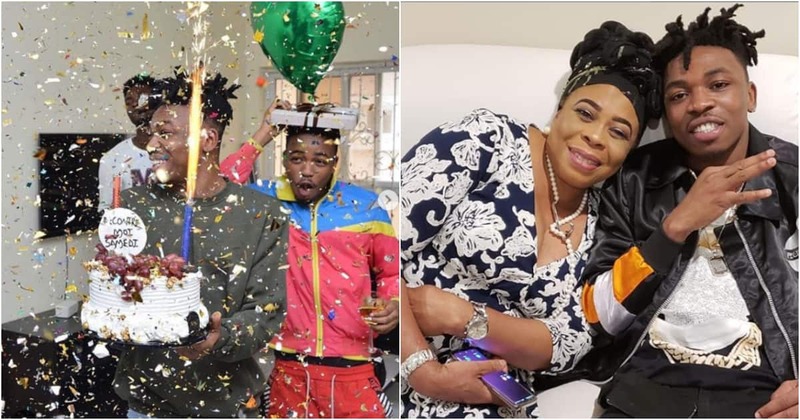 Meanwhile, Legit.ng had earlier reported that Mayorkun had shared a post on Friday, March 22, to look forward to his birthday. The singer noted that he would soon be 25 and he has already accomplished so much, like buying himself N35 million car.